Early this year, Business Insider published what it’s like to be in some of the world’s most populated cities, which included Metro Manila, Philippines. 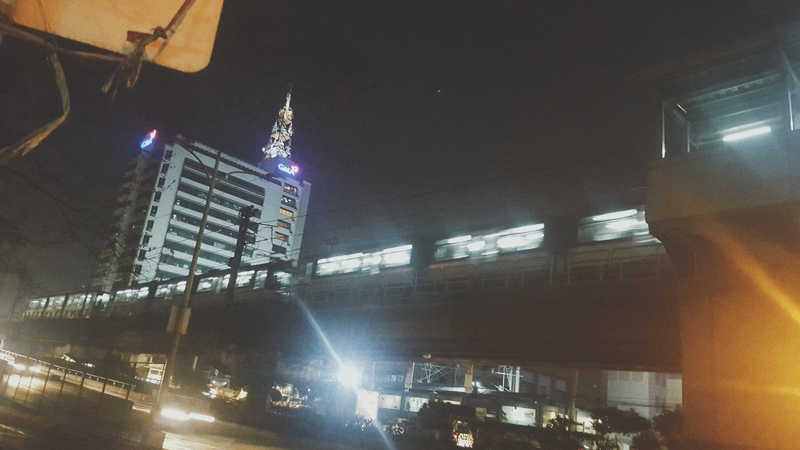 Having traversed the city’s most crowded highway, EDSA, for 11 years now, I could confirm that the article did give out a real image of what our commute is truly like – every morning and evening of our working lives. But the good side of this is, I can now give out some of my secrets to making anyone’s commute, particularly via riding the still fastest form of public transportation in Metro Manila – the MRT 3, more feasible. 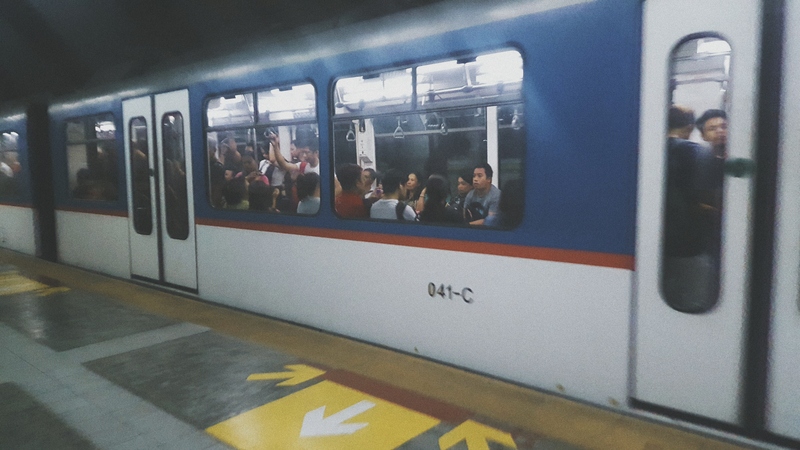 Here you would realize, that apart from preparing yourself physically (because the MRT-3 stations do have steep staircases to climb), commuters must also prepare themselves mentally. Taken from the article of BusinessInsider. Lines like this would take as long as an hour. In good days, just 10-15 mins. In worst days, up to two hours. Do note that while there are options such as buses along EDSA, the MRT-3 still is the only transportation option that could send one from the north to the south (and vice versa) in as fast as 30 mins. tops. – This is why it still remains the number one choice of transportation by commuters. So to be fast, here are some of the tips you could use in surviving your commute in Metro Manila, Philippines. Invest in excellent, waterproof flats or rubber shoes. I want to emphasize the “excellent” part because it is easy to fall for the cute and cheap flats we see at the department stores of course to save money. But coming from a fast walker who needs to outwit most of her fellow commuters every day, these kinds of flats tend to break easily. At some point, the sole tends to get dull easily too, which makes dashing and scurrying a bit more difficult. TIP: The sidewalk by the North Ave. station gets flooded even when it’s not raining. I don’t know why. They just finished the construction of that side by the mall but didn’t seem to expect that water would get trapped in the covered walk. So your shoes may be in for a dip too. Make sure that your shoes are at least waterproof/can survive being wet. 2. Bring only a medium sized shoulder bag with one zip capability. The lines are long, and because of previous safety concerns, all the entrances to the stations require a check and frisk policy. Some commuters who bring huge pieces of luggage tend to take longer by these checkpoints, at the expense of fellow commuters’ time. So do everyone a favor, and only bring a bag that you can open and close as quickly as possible. TIP: I’m sorry to even be blogging about this, but there had been a lot of cases of theft in the trains. Personally, I had had an experience when my phone got picked from the side pocket of my huge bag, which happened while people were forcing their way through the narrow door of the coaches. These cons take advantage of the lack of personal space – which makes the opening and closing of someone else’s bags relatively undetectable because of the “normalcy” given to bumping and squeezing into one another. So I advise keeping all bags in front of you, where both arms can hug it tight. 3. Wear thin cotton clothes. I don’t know how guys do it, but a good thing for working women is that we can opt to take off our blazers for a while as we commute because man it’s hot! Especially during summer. And the crowd I guarantee will make the platforms and the trains feel warmer. 4. Line up by the middle or end coaches. 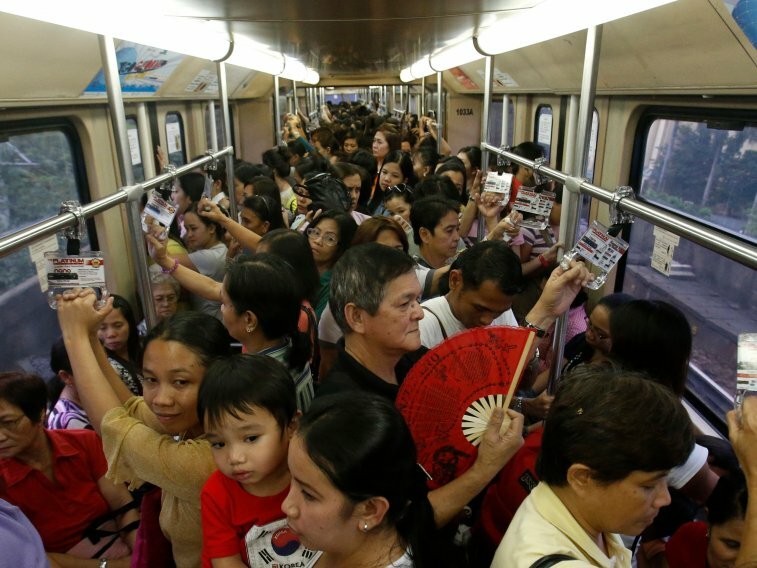 Because of the inevitable closeness by commuters especially within the coaches, the MRT 3 has assigned the first coach for pregnant women, children and the elderly. And throughout the day, they get first dibs on the chairs in that coach. So I figured there would be a greater chance for me to secure myself a seat when I line up in other coaches, which arrive in the platform still clear of people. Tip: I make sure that I am at least the 7th person in line from the platform’s yellow-edge. This way, I can estimate that there will still be a seat left for me when the train arrives. But if I happen to be beyond the 10th person in line, I stop by the doors so I can be the first to enter the next time. This is IF I still have the time to wait for another train. The risk here would be a) the train coming later than usual and b) people getting angry by the sudden stop of the individuals in line. 5. Leave home earlier in the morning. Leave the office later at night. The idea here is to avoid the influx of people during rush hours. Arriving at the MRT earlier than 6:30 AM would assure you of a shorter line by the entrances and platforms (or no line at all). 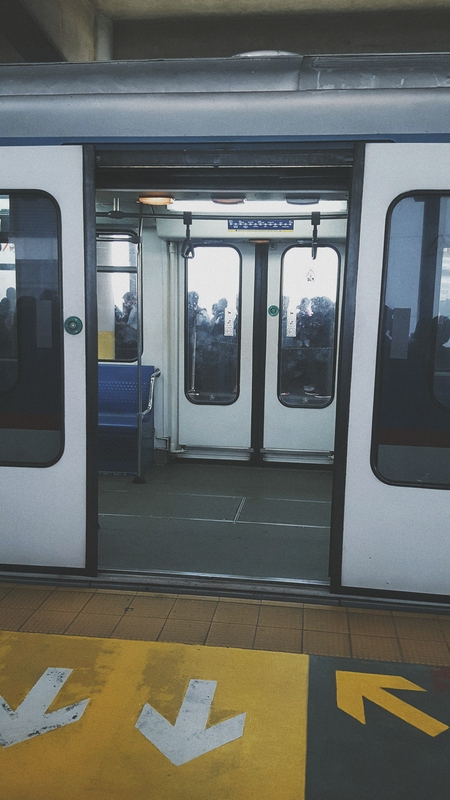 The MRT coaches also arrive and leave faster during that time. 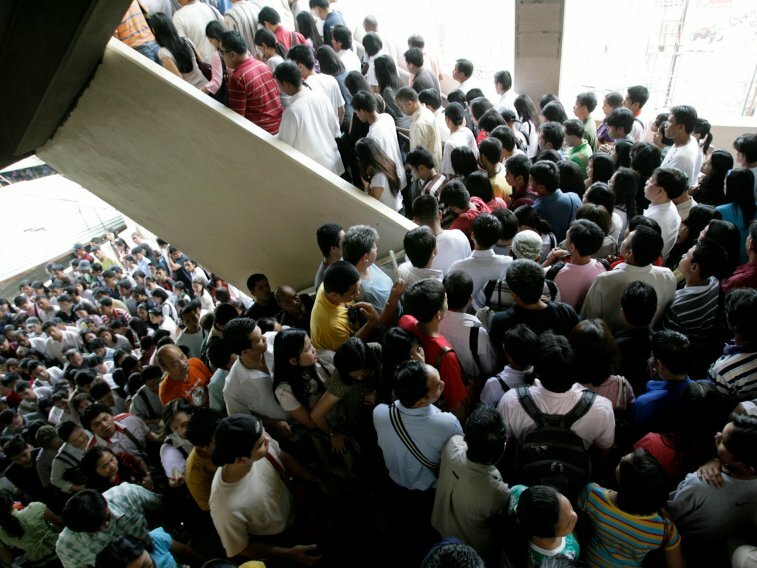 As for night commute, the MRT doesn’t get too clogged by 9:00 PM onwards. However, in my experience, it’s not always a guarantee. But should you wish to be on the platform as early as 6:00 PM, expect to be hurt (physically, because of the crowd) and disappointed. (because you’d still arrive home late) haha! I’ve been commuting 11 years and still, I do not get to overcome it. I only get to deal with it. I wish in the future that the country finds a way to cater to the ballooning population who uses public transportation. I do believe that improving transportation policies and the system as a whole could help ease the commute by working men and women.